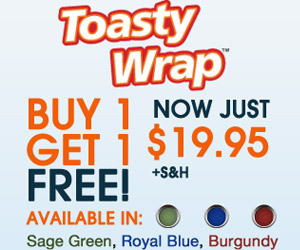 Toasty Wrap is the super soft luxurious fleece blanket with roomy oversized sleeves that fit perfectly. Toasty Wraps sleeves keep your hands free to do what you want while you’re still totally wrapped in warmth. And since it’s a super large one size fits all, it keeps you warm from head to toe!